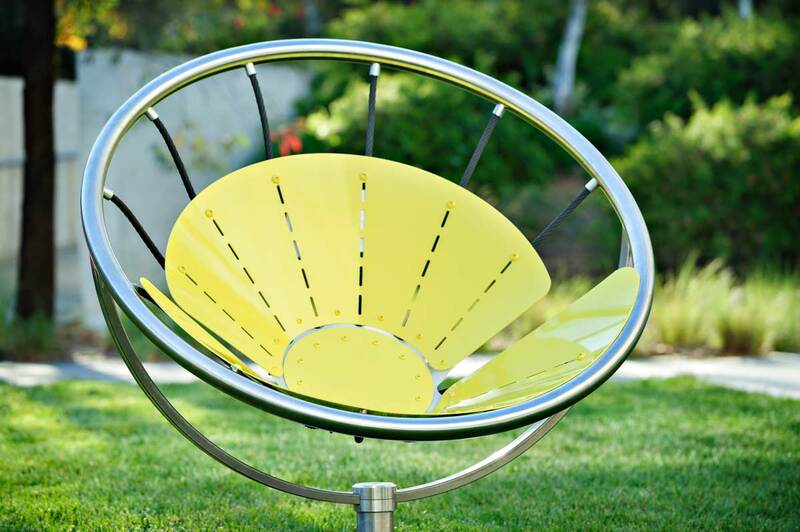 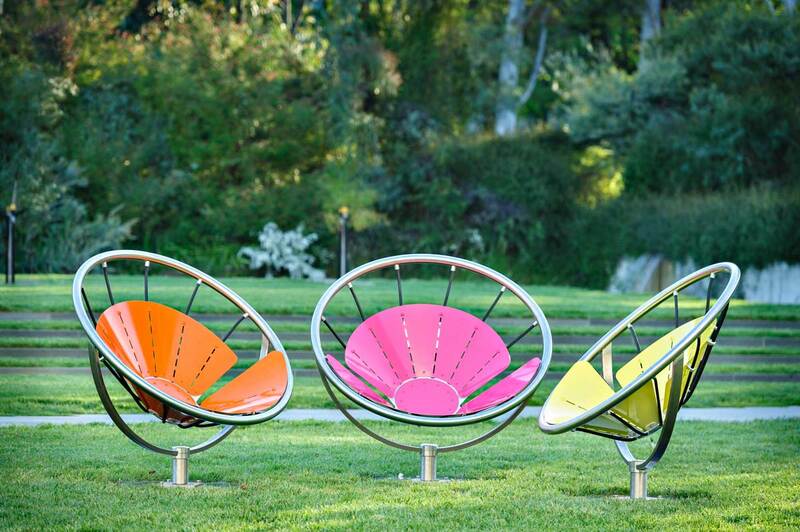 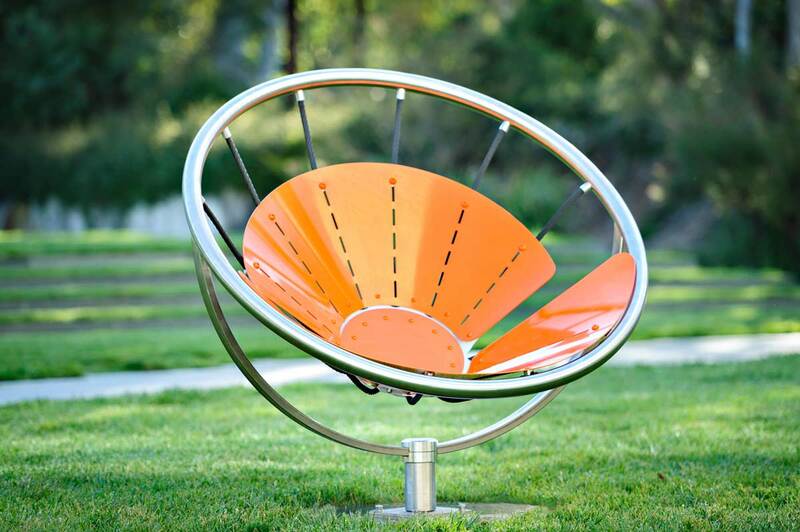 Flower Chair is the very first dynamic seat from Street Furniture Australia. 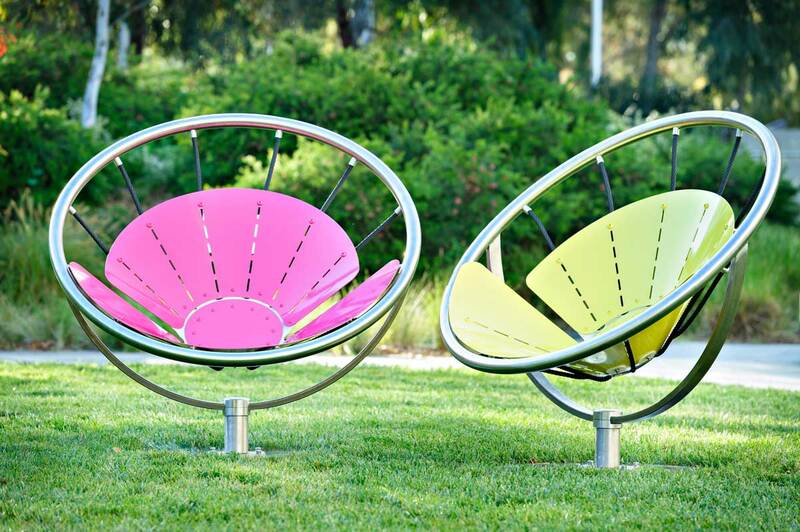 Inspired by chairs in the Google Office, it is designed to encourage play and interaction with public space. 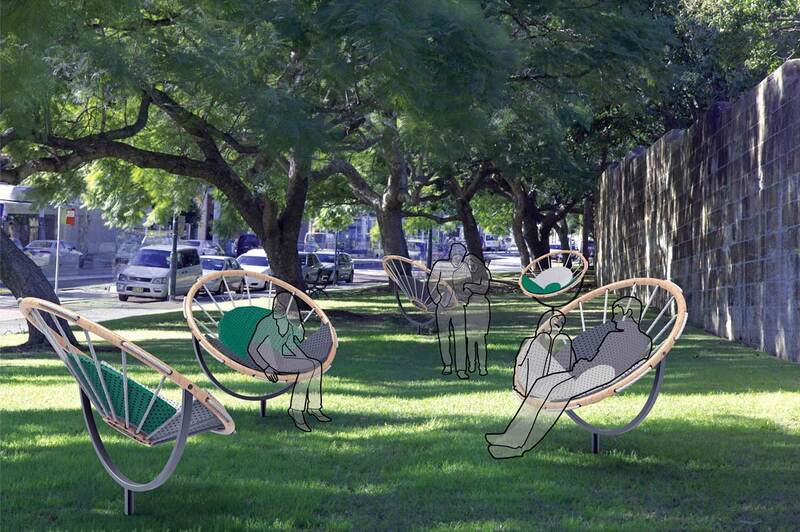 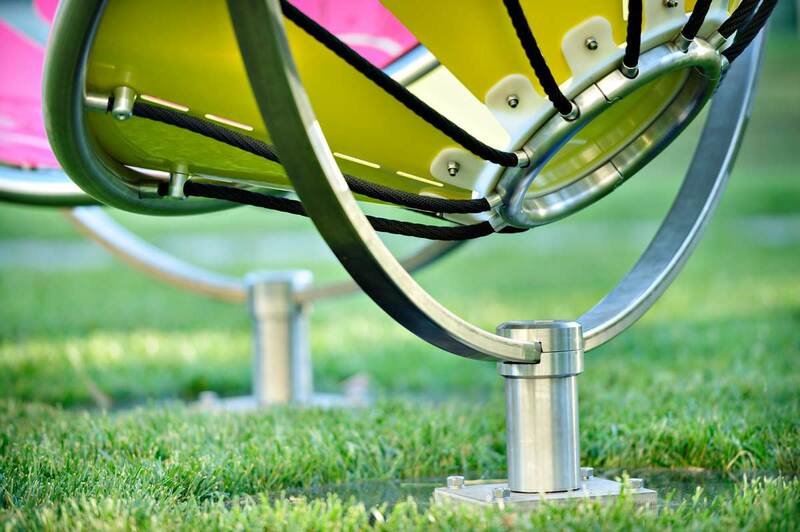 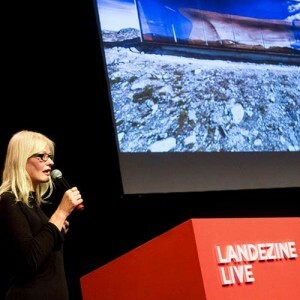 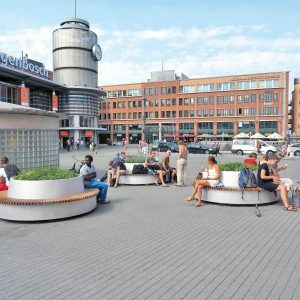 The design is a novel approach to the movable seat that is fixed to the ground. 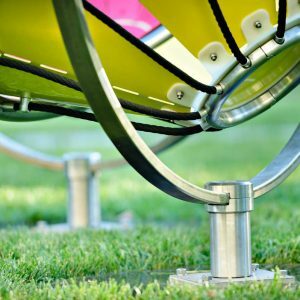 It gives placemakers peace of mind that their assets cannot ‘walk,’ yet allows sitters to turn and adjust their outlook. 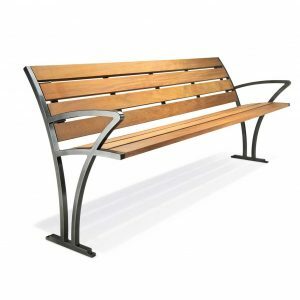 This gives the product an edge in both social and physical comfort. 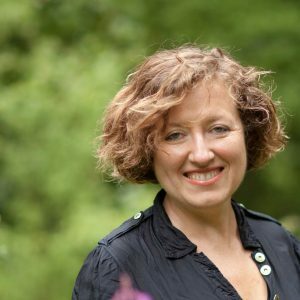 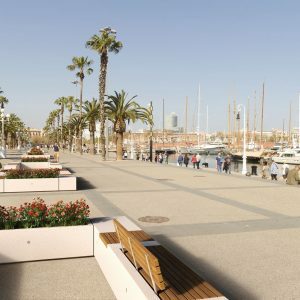 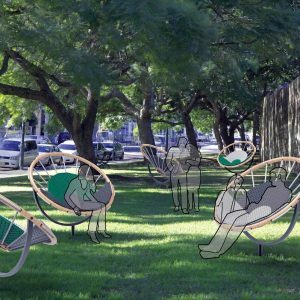 Given the option, people will almost always move a chair before they sit, often just a little and even if it doesn’t seem to accomplish anything, says William H Whyte in his film, The Social Life of Small Urban Spaces. 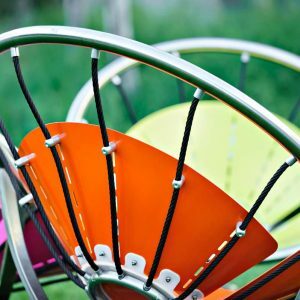 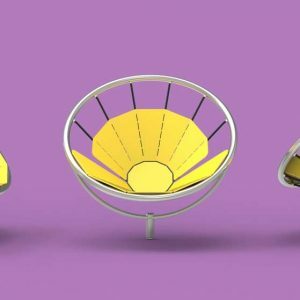 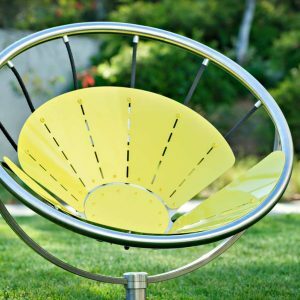 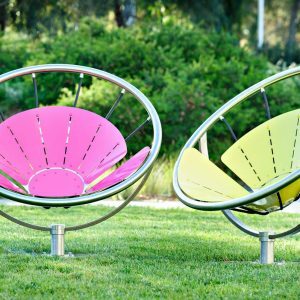 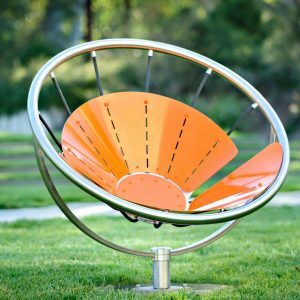 To facilitate maximum comfort – physical and social – Flower Chair swivels 180 degrees, empowering sitters to survey the best view, change their position in relation to the sun, interact with their neighbours or enjoy some solo time. 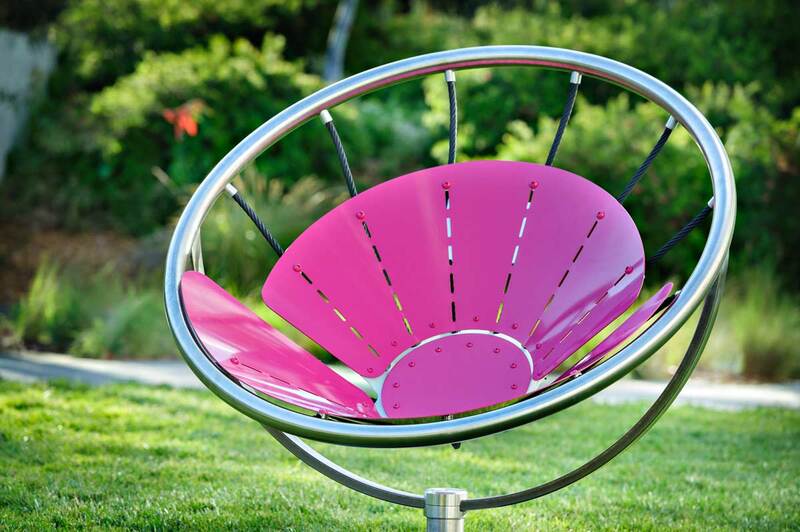 There is also the joy of interacting with the seat, turning its aspect, sitting in the centre of a flower. 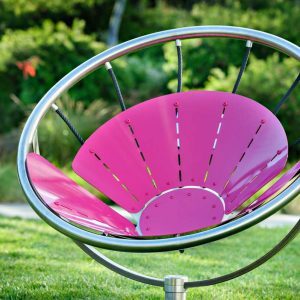 Flower Chair can be powder coated in any desired colour for dramatic effect, an immediate cue in any landscape for play and relaxation. 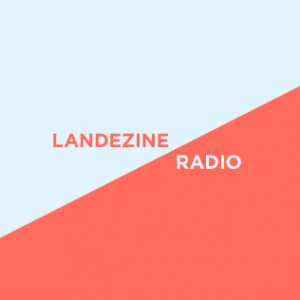 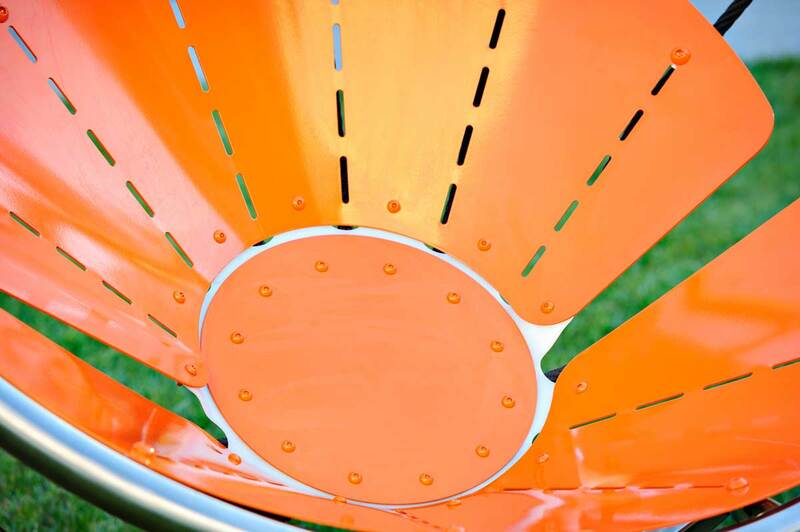 Shape and colour make the product infinitely photogenic, ripe for sharing on social media to raise the profile of a space and attract more visitors to enjoy it. 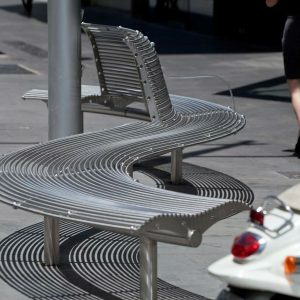 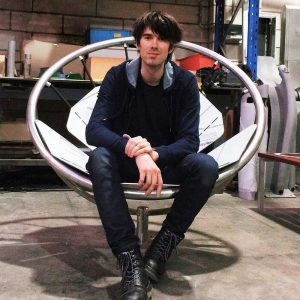 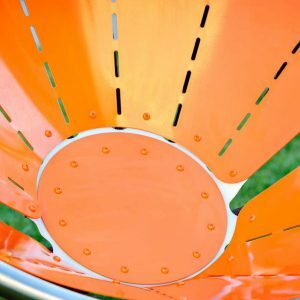 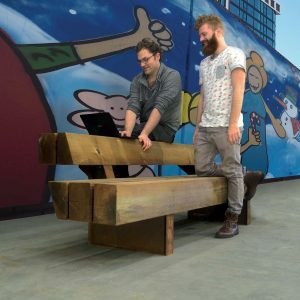 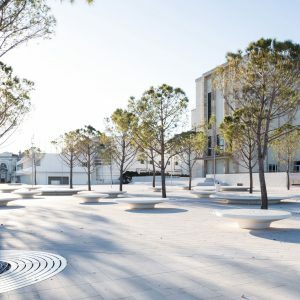 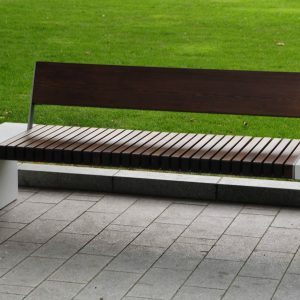 The seat is designed by Josh Flowers, a former industrial design student at the University of New South Wales, and winner of a design challenge set by Street Furniture Australia in partnership with the university, called Sense of Place. 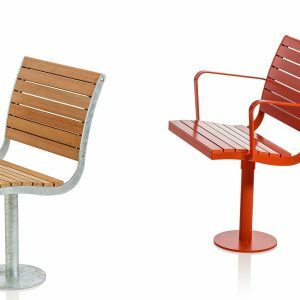 The brief challenged students to design a street furniture product that gives people a reason to stop and become involved in a public space. 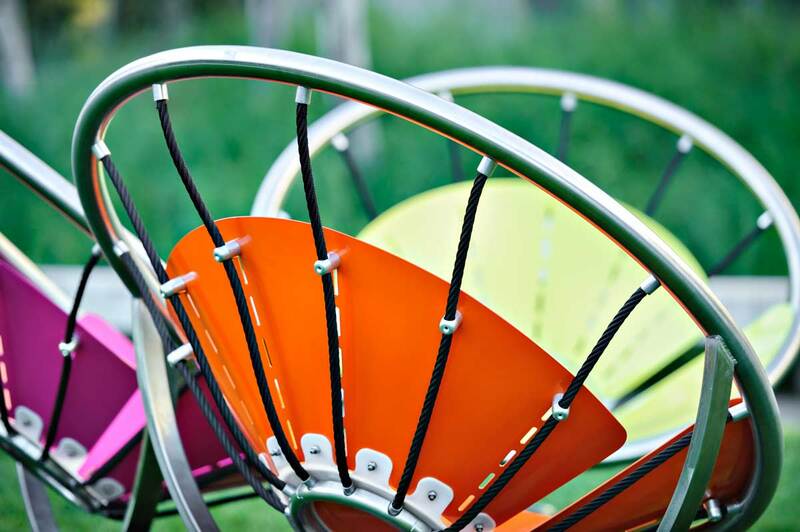 “The Flower Chair is designed to activate and uplift public spaces,” says Flowers. 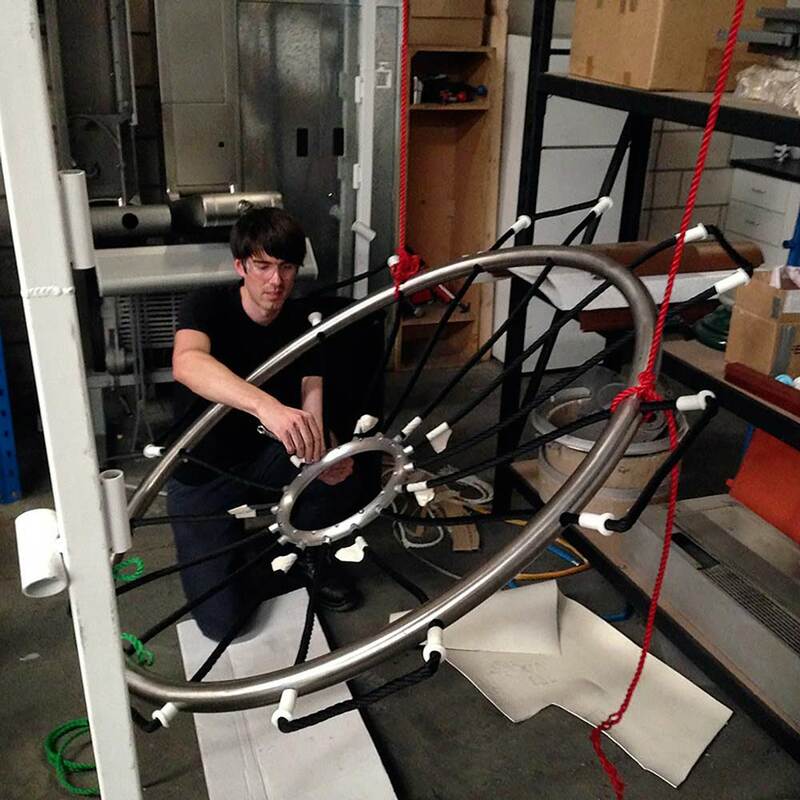 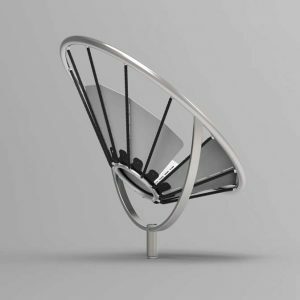 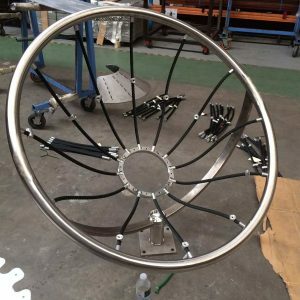 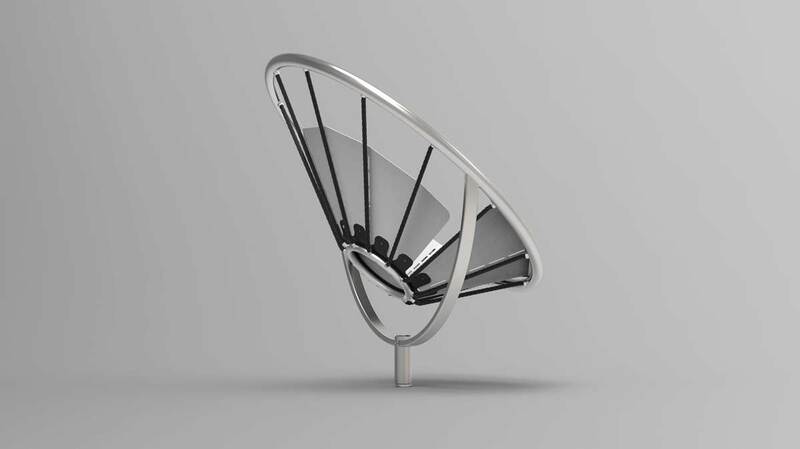 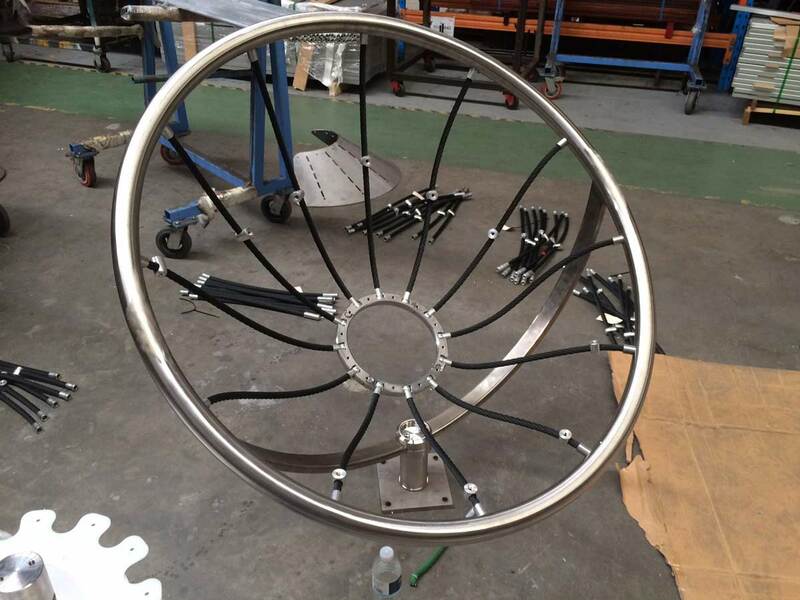 As part of Street Furniture Australia’s commitment to developing young industrial designers, Flowers will receive royalties for his Flower Chair, while achieving a dream to see people interact with his seat in the public domain. 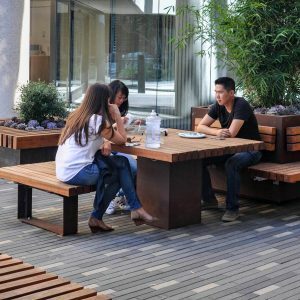 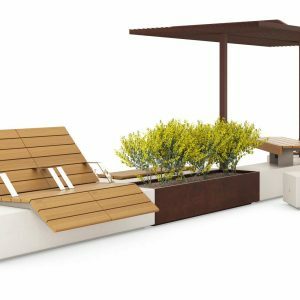 Prototypes of the product were extremely well received in October at the 2016 International Festival of Landscape Architecture in Sydney. 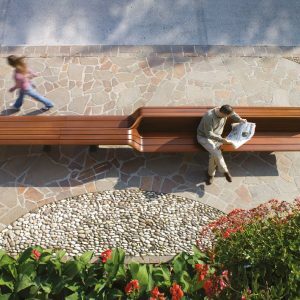 Street Furniture Australia surveyed delegates, many of them landscape architects, to collect feedback and suggestions for improvement. 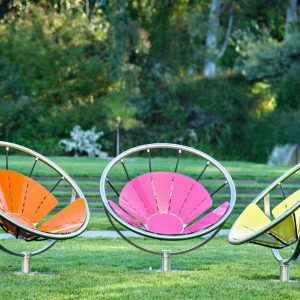 After approximately three years of meticulous development, focusing particularly on the strength, reliability and comfort of the product, Flower Chair is a sleek, contemporary, joyful furniture element that will adorn any landscape, bringing an immediate cue for interaction and play.